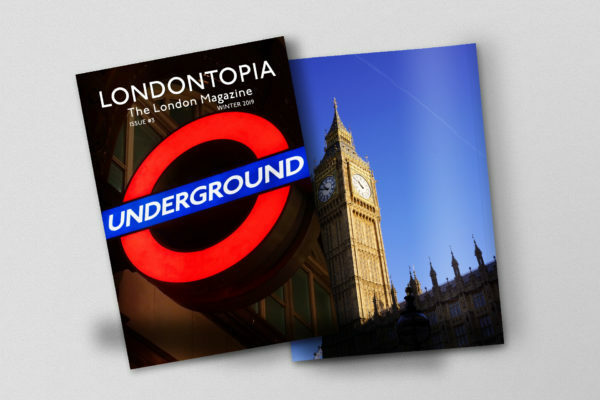 Today, underground is a word that tends to conjure images of secrecy and exclusivity when it comes to places. 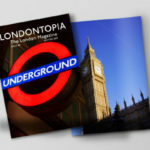 When it comes to London, the underground is synonymous with the city’s subterranean train service. 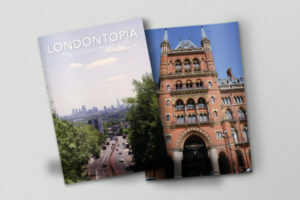 Of course, there is also the original meaning and applied to bars; it can mean any number of drinking establishments that can be found below the London streets. The city has many interesting subterranean watering holes, carved into old stone, lurking behind cabinets, or even in old public toilets. 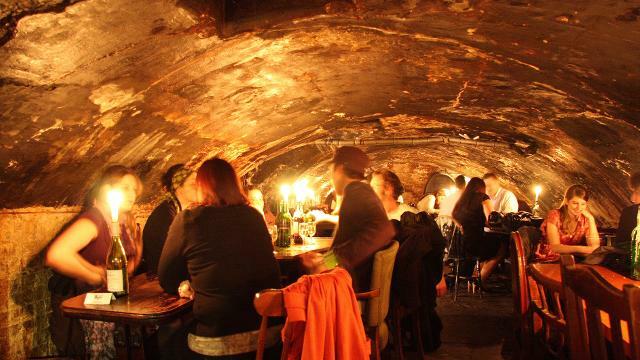 We’ve identified five of the most fascinating places for you to have a drink underground below and you can let us know your own favorite subterranean bars in the comments. 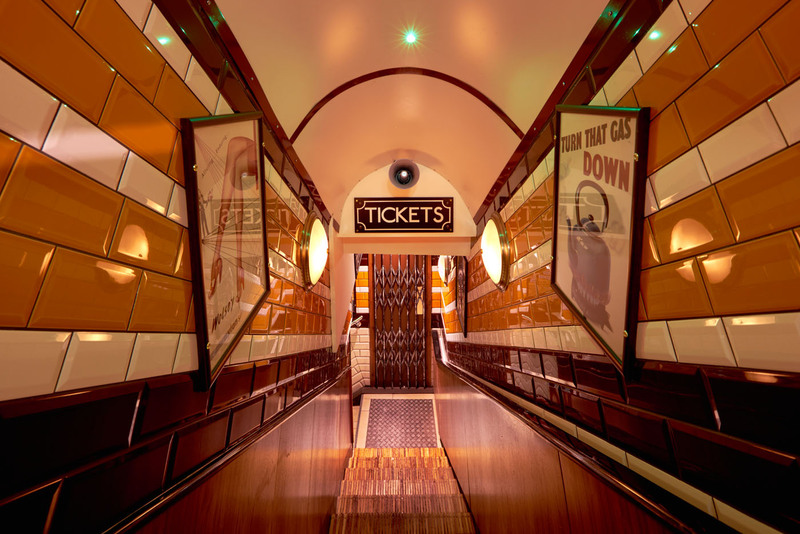 One of the most unique and unusual bars in London, Cahoots in Soho really puts the “underground” in underground bar by patterning itself after a disused Tube station. Whether you choose to drink in the train car or the station, the space is relatively limited, so you’ll need to make a reservation. Cahoots keeps its retro theme when it comes to the music and regularly hosts jazz and swing musicians. Cocktails are also retro, though the snacks are a bit more modern. 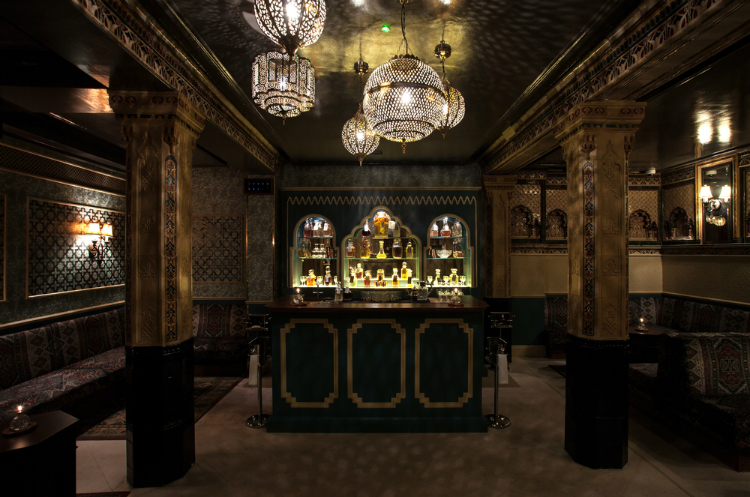 Going even further back in time, By Appointment Only is one of the most beautiful subterranean cocktail bars on this list because it’s located in a Victorian bathhouse. Once a Turkish bath, BAO has kept all the Arabic tiles, marble floors, and intricate geometric designs as well as the tubs, which are filled with ice and champagne bottles. As the name implies, you’ll need to make an appointment to drink here, as the bar is only open on Fridays from 5 pm to midnight. 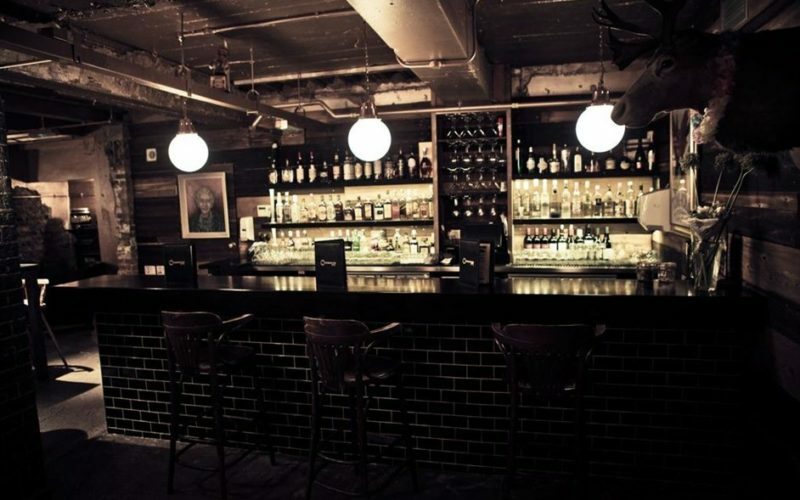 A very eclectic joint, the Mayor of Scaredy Cat Town is the only speakeasy on this list and can be found behind a fridge in the Spitalfields branch of The Breakfast Club. 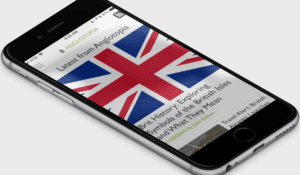 It’s hard to nail down exactly what the interior aesthetic is beyond “vaguely American,” with a stag’s head mounted on the wall along with American graffiti posters and neon signs, but of course with a distinctly British flair. It’s retro throughout, but the drinks are quite modern and the service very friendly. Unlike the other bars before this, there’s no reservation needed for SCT; you just have to know how to find it. While the other bars on this list have been devoted to cocktails, Gordon’s is a vino lover’s paradise. It’s also the oldest wine bar in London, having been established in 1890. What’s more, of all the bars on this list, Gordon’s will make you feel the most like you are truly underground, with its walls and ceiling carved from the bedrock to give it a cavernous appearance. This atmosphere brings the young and old alike to enjoy a bottle and the company of their friends and loved ones under the candlelight. It may not have a wide selection of drinks beyond wine, but you don’t come here for anything else. 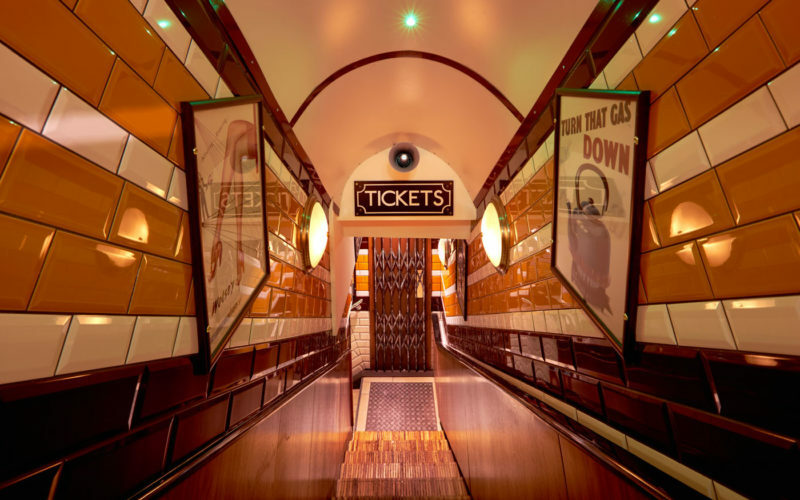 WC combines aspects of By Appointment Only and Gordon’s to give revelers a wine bar founded in what was once a public lavatory. 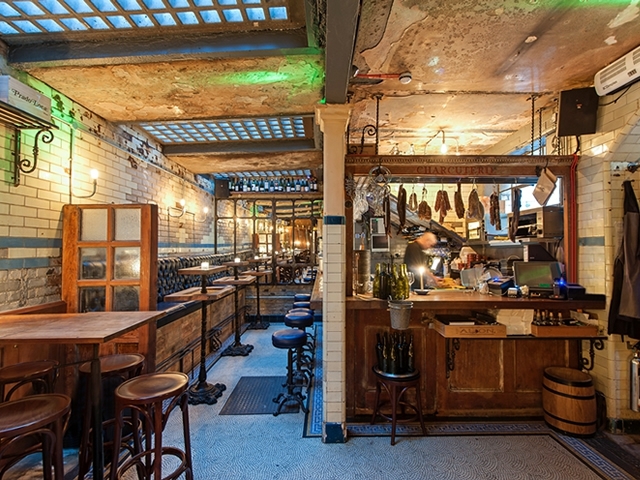 Part of the Clapham Old Town Regeneration Project, the bar’s owners won the bid to transform the meaning of WC from “Water Closet” to “Wine & Charcuterie”. It’s another small space, and it doesn’t need reservations, so you may want to get there quickly if you want to try the wares. It’s arguably one of the most colorful places to drink on this list, though if you don’t like the idea of drinking in a former toilet, you can take one of the tables out on the street.